toy that took her attention! 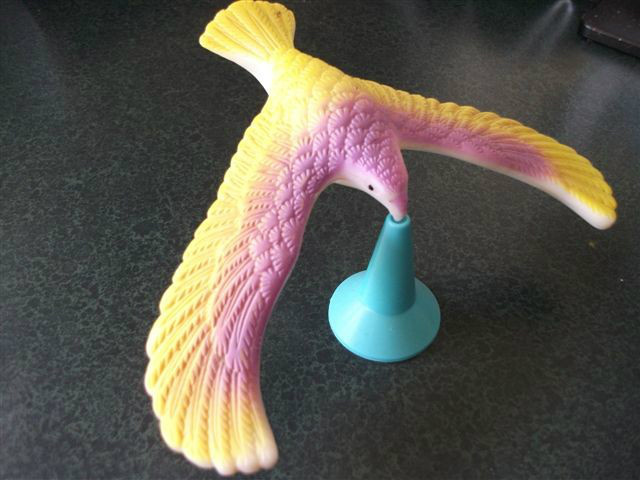 Balancing Bird - here is an example of a toy that our daughter loved. If she touched it would gently move and it could hold her attention for some time!